The Blackmagic 4K Cinema Camera works wonders within its constraints. If image quality and budget are of great importance to you, then know that this 4K Cinema camera is durable, beautiful, and wonderfully modular. 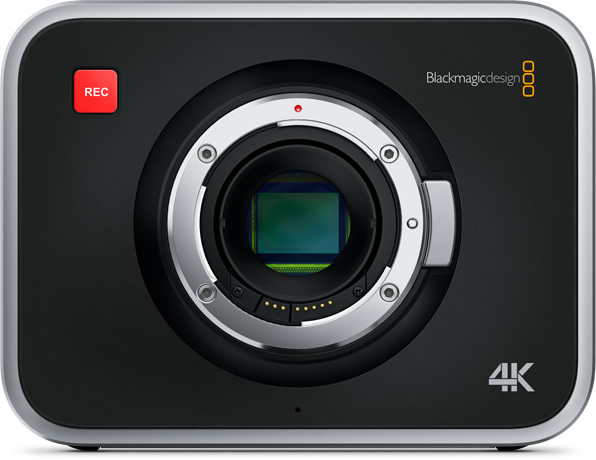 The Blackmagic 4K Cinema camera is, at its core, a sensor with some inputs and outputs. Our custom-built package will take care of everything else from power to media to proper accessorizing for ease of use. You get a large Super 35 size sensor with professional global shutter combined with precision EF mount optics, high quality visually lossless compressed CinemaDNG RAW and Apple ProRes 422 (HQ)™ file recording for a complete self contained solution. The built in touchscreen lets you monitor, change settings and enter metadata directly on the camera! EF Compatible Lens Mount: With the EF compatible lens mount you can choose high quality optics that are designed to take advantage of the large Super 35 size sensor with minimal cropping. Use the world’s most amazing optics from leading lens crafters like Canon, Zeiss and more, with full electronic control!